This is the first installment of a three-part series discussing how to be successful in implementing an SOA initiative through TOGAF® 9.1. Service-oriented architecture (SOA) has at times been challenged, but it is now on the verge of mainstream acceptance. It now shows maturity, success and even signs of popularity. SOA is an enterprise-scale architecture for linking resources as needed. These resources are represented as business-aligned services, which can participate and be composed in a set of choreographed processes to fulfil business needs. In 2012, the use of SOA for pivotal emerging technologies, especially for mobile applications and cloud computing, suggests that the future prospect for SOA is favourable. SOA and cloud will begin to fade as differentiating terms because it will just be “the way we do things”. We are now at the point where everything we deploy is done in a service-oriented way, and cloud is being simply accepted as the delivery platform for applications and services. Many Enterprise Architects are also wondering if the mobile business model will drive SOA technologies in a new direction. Meanwhile, a close look at mobile application integration today tells us that pressing mobile trends will prompt IT and business leaders to ensure mobile-friendly infrastructure. 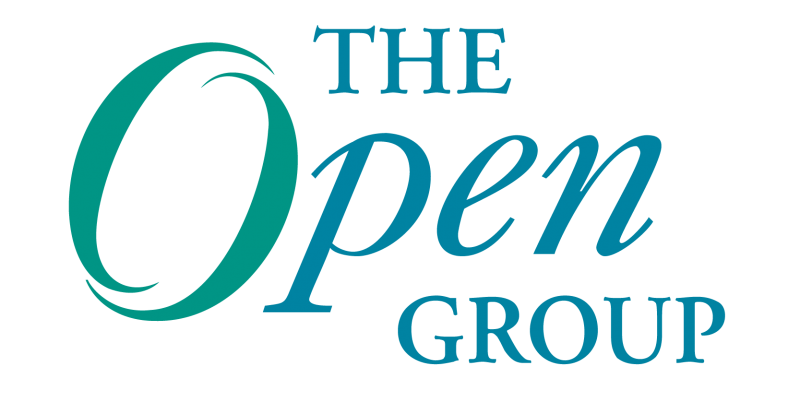 To be successful in implementing a SOA initiative, it is highly recommended that a company create a SOA Center of Excellence (CoE) and The Open Group clearly explains how this can be achieved through the use of TOGAF® 9.1. This article is based on the TOGAF® 9.1 Framework specification and specifically the sections 22.7.1.3 Partitions and Centers of Excellence with some additional thoughts on sections 22.7.1.1 Principle of Service-Orientation and 22.7.1.2 Governance and Support Strategy. I have looked at the various attributes and provided further explanations or referred to previous experiences based on existing CoEs or sometimes called Integration Competency Centers. The figure below illustrates a SOA CoE as part of the Enterprise Architecture team with domain and solution architects as well as developers, Quality Assurances (QAs) and Business Architects and Analysts coming from a delivery organization. The SOA CoE supports methodologies, standards, governance processes and manages a service registry. The main goal of this core group is to establish best practices at design time to maximize reusability of services. A SOA CoE must have a purpose. What do we want to achieve? What are the problems we need to solve? It may sound obvious, but having a blueprint for SOA is critical. It is very easy for companies, especially large enterprises with disparate operations, to buy new technologies or integrate applications without regard to how they fit into the overall plan. The challenge in building a SOA is to keep people, including IT and business-side staff focused on the Enterprise Architecture goals. The SOA CoE also needs to define a structure and the various interactions with the enterprise architecture team, the project management office, the business process/planning and strategy group, the product management group, etc. Clearly comprehensive testing activities must be described by the SOA CoE. In addition to a set of defined processes related to Web Service Definition Language (WSDL) testing, functional unit testing, regression testing, security testing, interoperability testing, vulnerability testing and load, performance testing, an analysis tool suite may be used to tailor the unique testing and validation needs of Service Oriented Architectures. This helps test the message layer functionality of their services by automating their testing and supports numerous transport protocols. A few examples include: HTTP 1.0, HTTP/1.1, JMS, MQ, RMI, SMTP, .NET WCF HTTP, .NET WCF TCP, Electronic Data Interchange, ESBs, etc. Only by adopting a comprehensive testing stance can enterprises ensure that their SOA is robust, scalable, interoperable and secure. The CoE will disseminate the skills, experience, and capabilities of the SOA center to the rest of the architecture practice. The Center of Excellence will promote best practices, methodologies, knowledge and pragmatic leading-edge solutions in the area of SOA to the project teams. Identify how members of the CoE, and other architecture practitioners, will be rewarded for success. This may sounds like a good idea but I have never seen this as an applied practice. It has to be said that lack of SOA skills is the number one inhibitor to SOA adoption. Close-out plan for when the CoE has fulfilled its purpose. In the second installment of this three-part series I will discuss how the Center of Excellence defines a Reference Architecture for the organization.